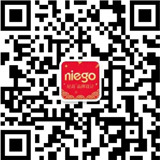 Shenzhen niego Branding & Design Co.,Ltd. Add：19F,International Commercial Building,Renmingnan South Road,Luohu District,Shenzhen. China.